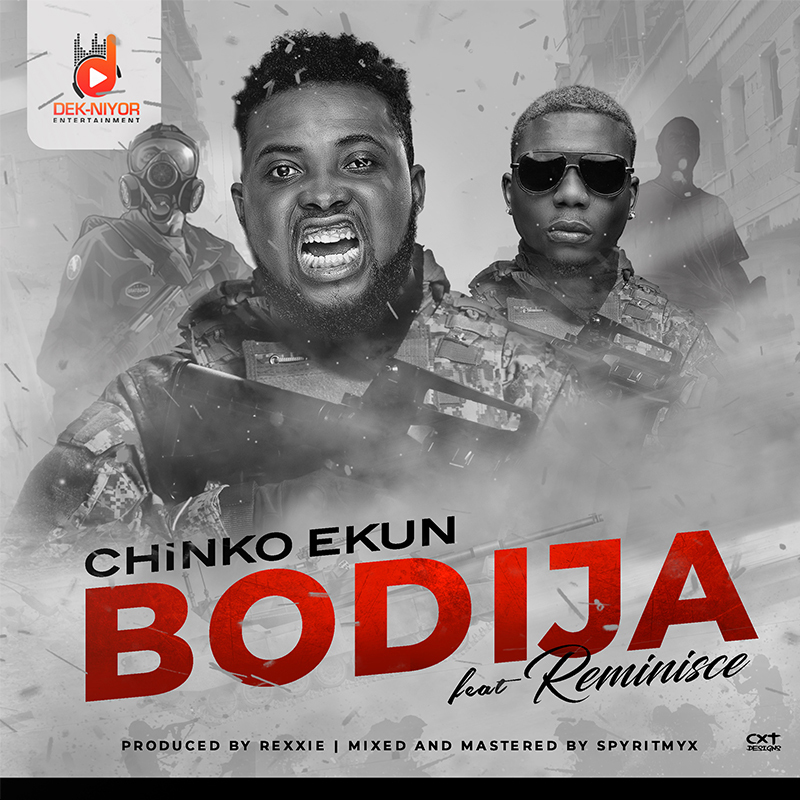 Dek-Niyor Entertainment presents Chinko Ekun's new song titled “BODIJA” (Audio + Video) which features founder and creative director of LRR Records "Reminisce". The song was produced by prolific music producer #Rexxie and was mixed and mastered by #Spyritmyx. The Video was directed, shot and edited by label-mate @WalinteenPro in Johannesburg, South Africa with cameo appearance by OlaDips. The video also marked the end of his weekly freestyle series called #Chinko'sDiary.